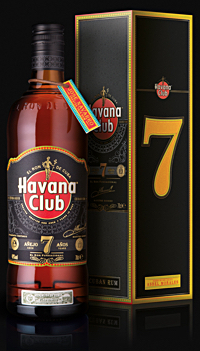 Pearlfisher London’s three studios – Futures, Strategy and Design – have jointly completed a structural and packaging redesign for Pernod Ricard's premium rum, Havana Club 7 year old. Havana Club traces its roots back to Cuba in 1878. After 25 years of global success, Pernof Ricard turned to Pearlfisher to re-establish integrity and balance in the core brand portfolio with a new brand vision, architecture, identity and visual language, starting with the heart of the range, Havana Club 7. To inform and inspire the work, Pearlfisher undertook a deep dive into authenticity, conducting a cultural immersion into the city of Havana to experience its sensorial realism and working with Cuban artists to explore the visual cues of a culture energised by creativity. Looking to elevate the powerful sense of humanity prevalent in Cuba, Pearlfisher Strategy rooted the reinvention in the idea of ‘crafted by hand,’ informing a brand vision that is as colourful, emotional and multi-layered as the people of Havana. Working with Cuban artists, Pearlfisher Design combined two classic Cuban aesthetics – 19th Century cigar art, a key element of Cuba’s artistic heritage, and screen printing, a technique embedded in cultural origins – to bring the duality of exuberance and craft to life. When it came to the structural design for the Havana Club 7 bottle, Pearlfisher Design took inspiration from the “Maestros del Ron Cubano” who asked for the bottle to be as carefully considered as its precious contents. The new vessel – bolder and more substantial than its predecessor, with defined shoulders and a sturdier base – provides an honest canvas that feels authentically crafted in Cuba, using profile, glass colour and detailing to frame the label artwork. A series of unique neck tags that celebrate individuals responsible for different stages of the rum’s production process brings the ‘human touch’, inherent in the brand, to the fore, connecting connoisseurs and first-time drinkers alike with the craftsmen behind the rum.